We ensure you that your information is in the safest hands when you divulge your details with us. Your information, under no circumstances, is shared, sold, rented or sent to any external agency – we are the only owner of the information collected at www.goelgems.com. It is worth noticing that we need to collect your information at various stages of your dealing with this website and so we have the most impregnable database management systems in place for enhanced security of your information. If you choose to place order with us, we need your information for filling the order form. Contact details (phone, mailing address etc.) are required for error-free delivery of the order without any delay. You need to furnish the credit card details also such as credit card number and expiry date etc. to complete the payment process. Hence, use of most secured payment gateways is being made for processing the credit card payment requests. Our shipping partners and payment gateway partners are the only entities that make use of the information furnished by you. All these third party entities related to our work do not make use of any information made available to them for any other purpose except the processing and delivery of shipments. Customers’ mailing addresses are required for sending information about various offers, clearance sales, giveaways and sweepstakes. You are free to opt-out in case you may not want to be the part of mailing list. You may find variety of website banners and links to other websites while navigating our website. 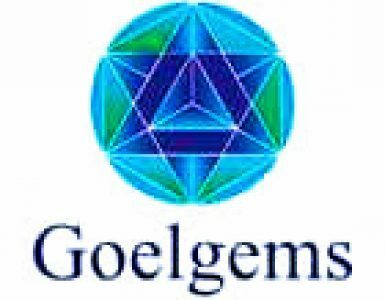 Please be aware that www.goelgems.com is neither responsible for nor have control over the privacy policies followed by these websites. Please go through the privacy policies of these websites before accessing them. Thank you and wish you a memorable gemstones buying experience!